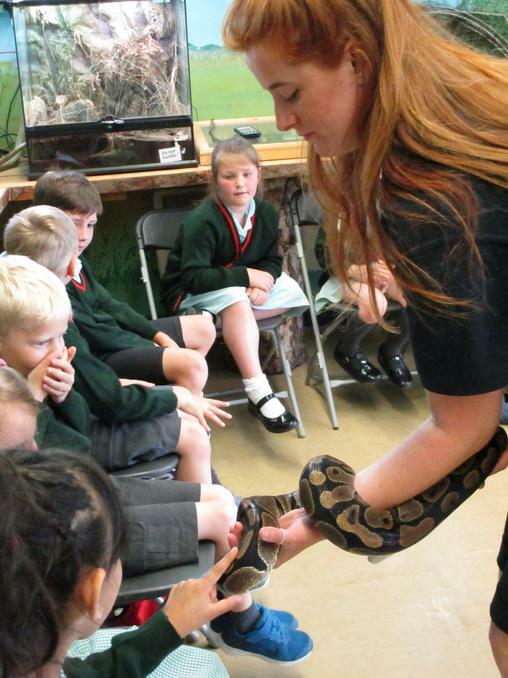 Later in the term (as a treat after our SATs!) 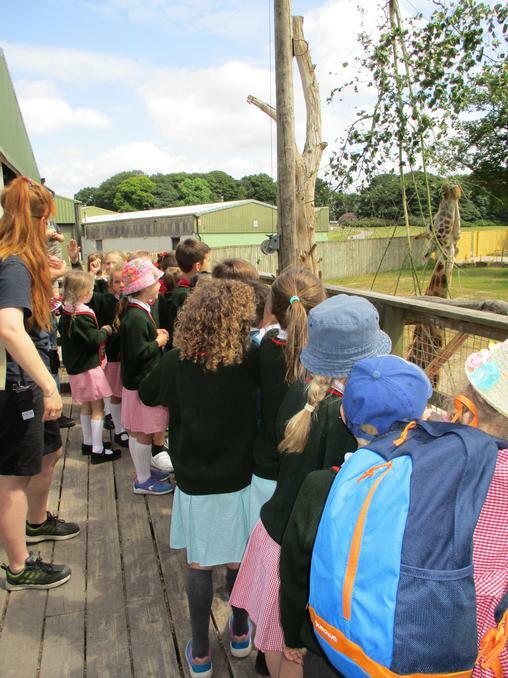 we are hoping to visit Knowsley Safari Park where we will have the chance to spend a day with a ranger and learn more about Africa and the types of animals which live there. We have been busy exploring our wildlife area. We enjoyed being 'nature detectives' to find out what plants and living things including minibeasts can be found there. Having explored the art work of Beatrix Potter, we then tried to sketch some of the plants and flowers which we found. 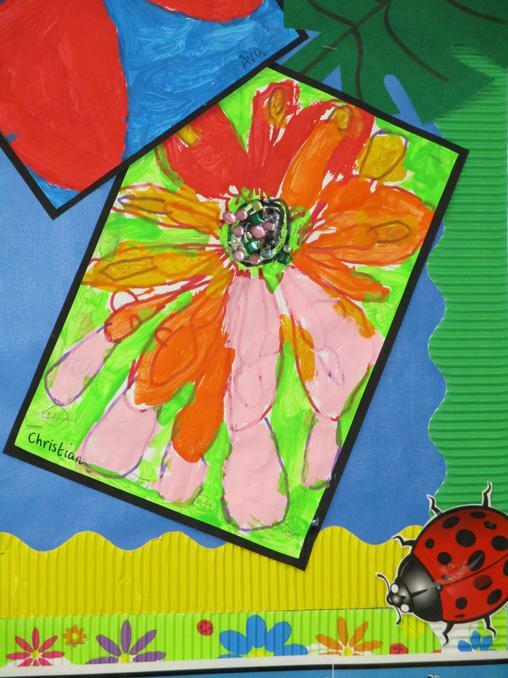 We studied the work of the artist Georgia O'Keeffe who is best known for her flower paintings. 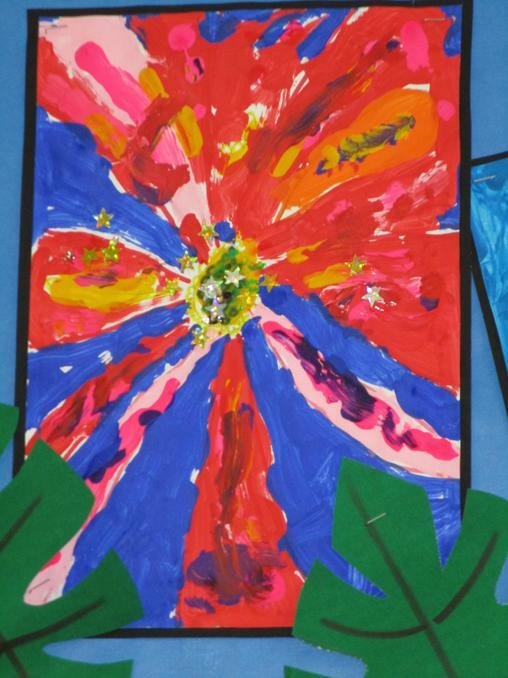 She painted her flowers so large that they had to be noticed and seen in a new way. 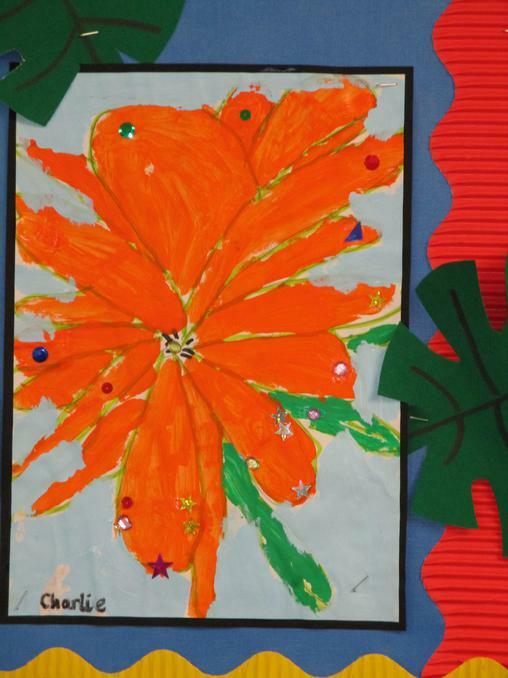 We painted our own flowers in the same style. 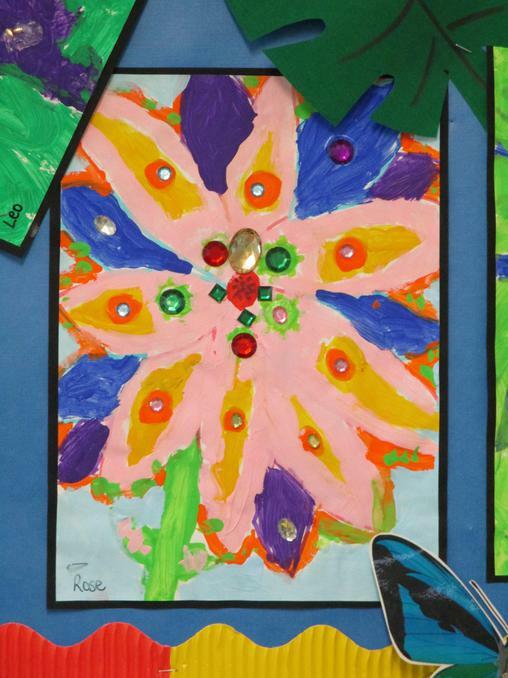 We then decided to add sequins and beads to make them even more bright and colourful. 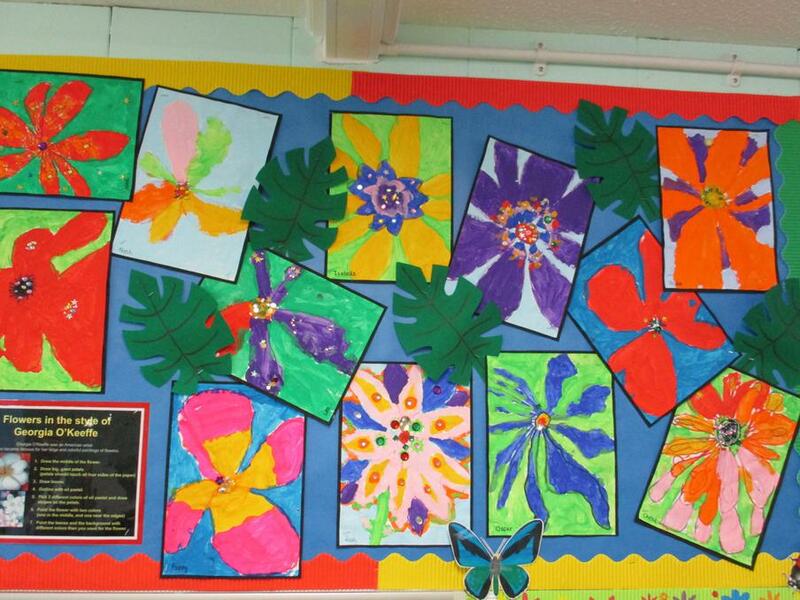 We now have a beautiful display in our classroom! 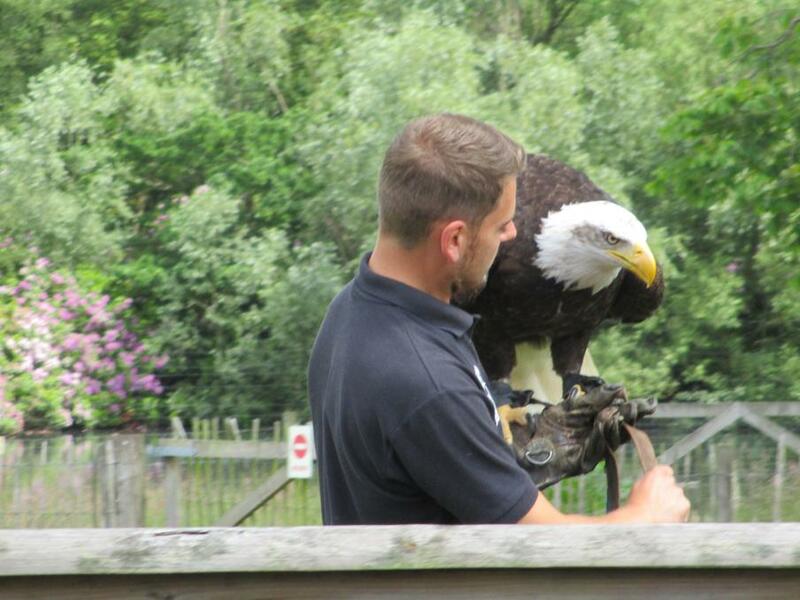 A Fantastic Day out at Knowsley Safari Park! 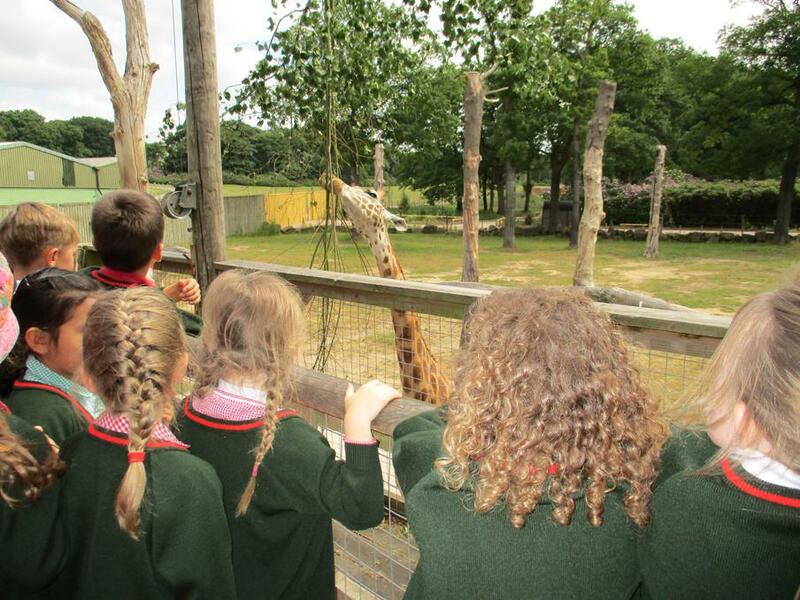 On 12th June we visited Knowsley Safari Park as part of our 'Amazing Africa' topic. 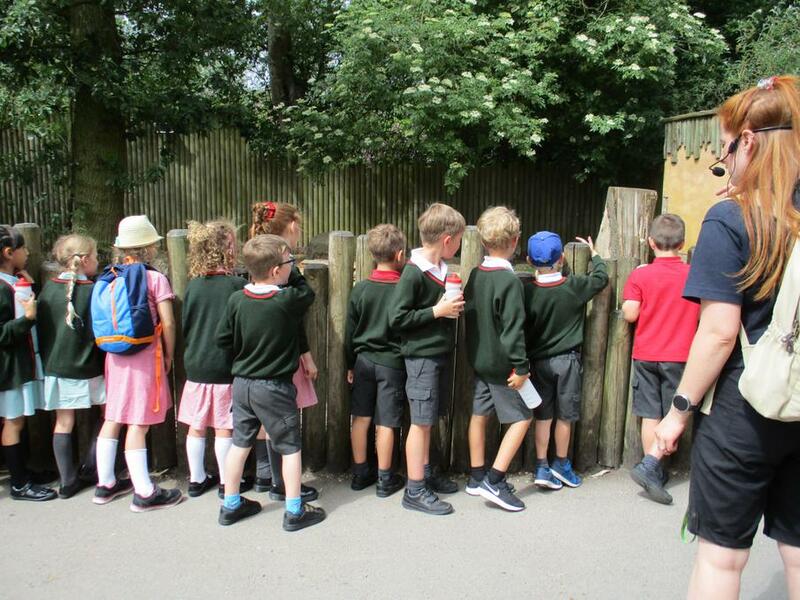 We discovered lots of facts about the different habitats and the animals which live there. 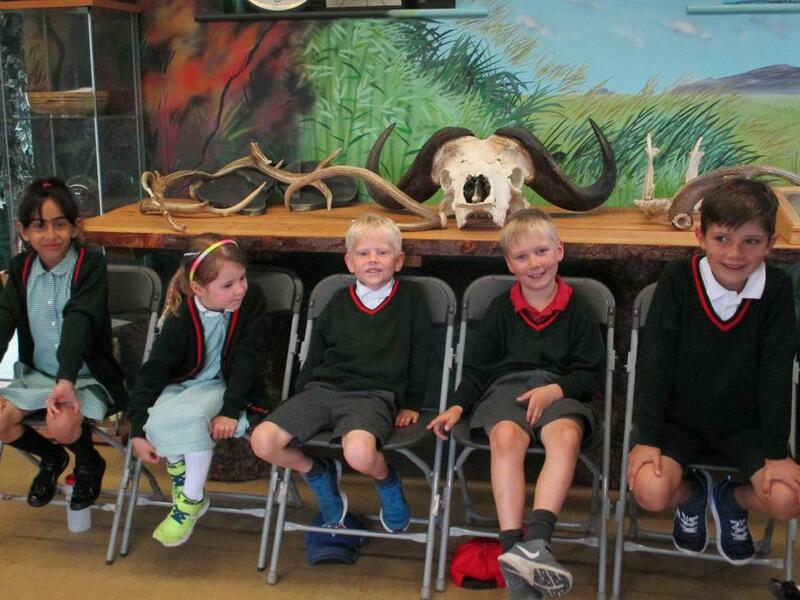 Our busy day began with an African workshop where we learnt about carnivores, herbivores and omnivores. 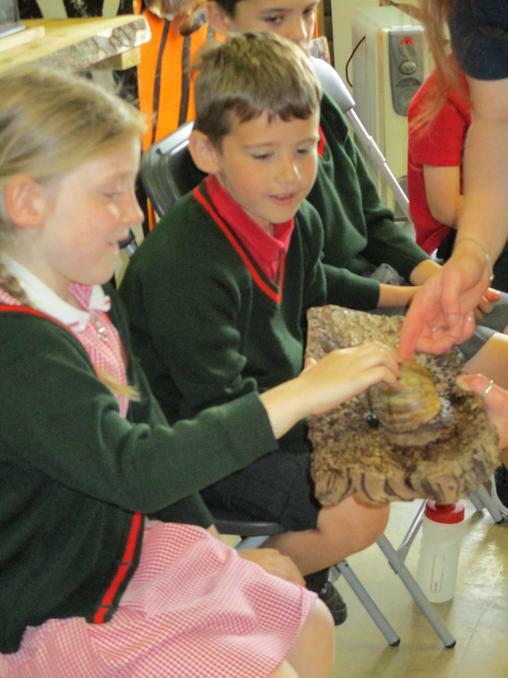 We were able to touch a giant African land snail called Gary and also a snake which felt very soft! 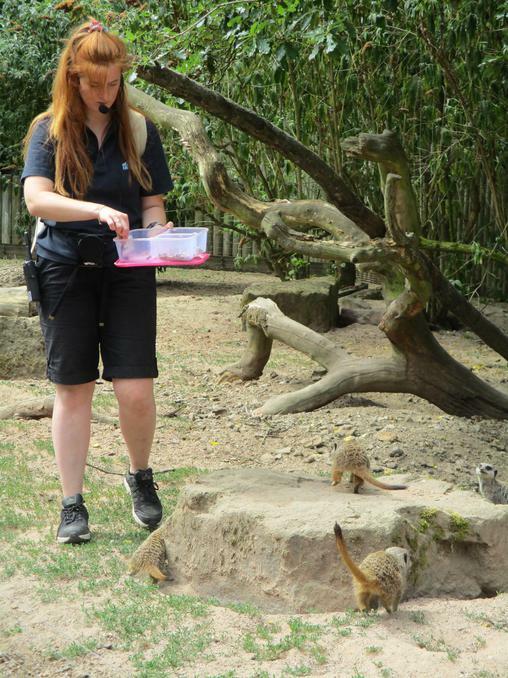 Next we went to see the meercats being fed whilst seeing other animals (including giraffes) on the way. We were able to watch the sealion show while we ate our lunch. 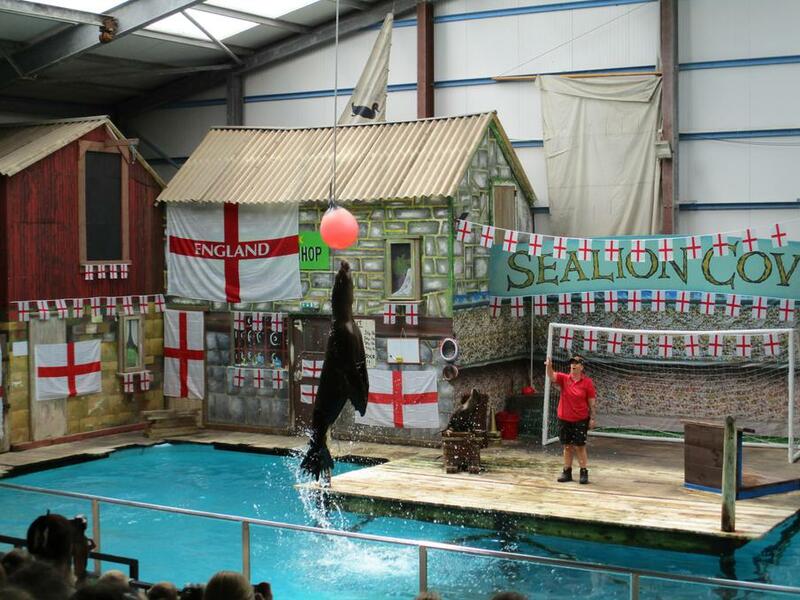 They performed some brilliant tricks! 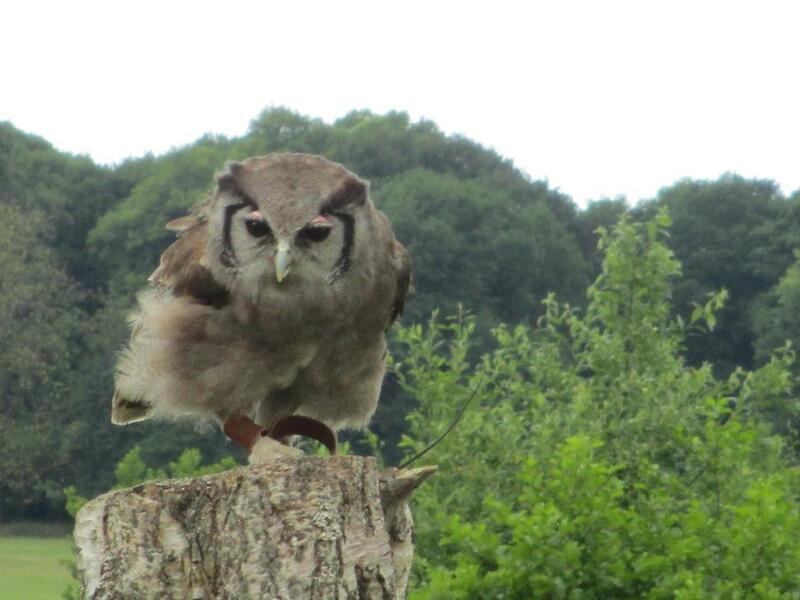 Next we watched the birds of prey show. We had to duck down when they flew over our heads! Finally, we ended the day with a safari drive around the park. 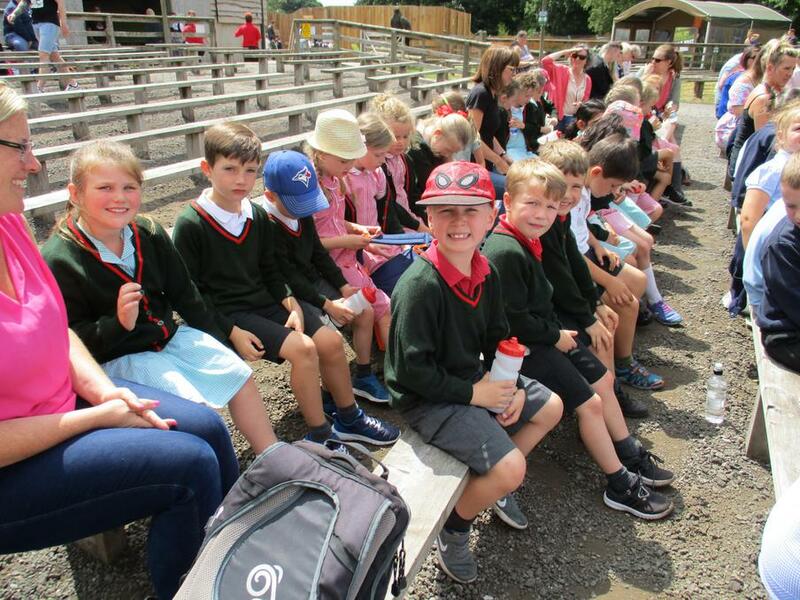 We spotted lots of animals such as camels, rhinos, tigers and many more.